Do you have expensive taste when it comes to makeup or are you content with what you can get at the drugstore? 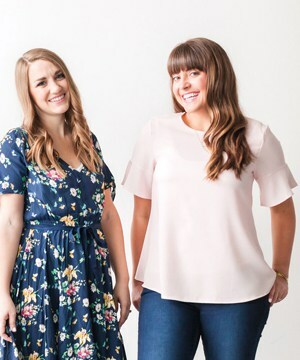 I find myself hopping back and forth with some products, and I keep a few “splurges” around but most of the time for day to day I don’t care enough to want to put on my fancy makeup. Unless it’s super humid, then I have to pull out the big guns. Anyway, today I thought I’d share my drugstore makeup faves that I use on a day-to-day basis! BROWS: ELF eyebrow kit. It’s $3 and I only use the left side because it’s kind of a gel instead of a powder. This one is new to me but I’ve really enjoyed it and will be purchasing again! CONCEALER: I use Maybelline yellow concealer stick around my eyes. I love this stuff and have been wearing it since I can remember! I have naturally dark circles around, but am pale in general, so I find this helps balance my skin tone. MASCARA: You know, the Great Lash stuff that everyone has. If it aint broke, don’t fix it. EYELINER: Revlon colorstay liquid liner. Anyone else liquid liner lifers? I can’t use pencils. My eyes water a lot and anything but liquid will be smudged around my eyes (making me look like a raccoon) in a matter of minutes. I love the tip of this one – it’s easy to apply and lasts all day. Benefit They’re Real is my go-to during the humid summer months now though, and it’s a splurge but it’s worth it to me! FACE: Ponds’ BB Cream. This is one of my friend Meg O.’s recommendations. I’ve always had pretty clear skin so I don’t wear foundation. Just this year my skin started to change a little and I added this BB Cream (which as far as I can tell is basically tinted moisturizer) to the mix and I can’t go back now. It’s great. Another of Meg’s recs is the Instant Age Rewind Dark Circles Eraser. I just love this and I put this around my eyes now too, sometimes in place of the yellow stick, sometimes on top of it. I like that it brightens up the skin around my eyes. BRONZER: Because of aforementioned paleness I like to warm up my face with bronzer and blush most days. I used to have a MAC bronzer that I loved and it lasted me about five years, suddenly ran out and I didn’t want to spend $30 on a new one so I tried this NYX Matte Bronzer which was supposedly a great dupe for the MAC. It is a pretty good match and only cost me $9. I am running out of it much more quickly than I did the MAC though, so I’m wondering if it might be worth spending more to get a product that I can use less of and have longer next time around. BLUSH: My favorite blush is Cover Girl’s Soft Mink, and I have been wearing this since I can remember just like the concealer stick. EYE SHADOW: I used to always buy this Stila shadow called Kitten which is supposedly one of the most popular eyeshadows of all time. It supposedly looks good on everyone. I looked up a dupe for Stila Kitten and found Revlon Infallible in Iced Latte. It’s pretty much the same in color, but the texture is off, which is fine. It does the job and costs $4-ish as opposed to $18. I even find that it lasts all day where I’m not sure Stila ever did! So that’s a bonus. LIPS: Lip balm is all I do! Burt’s Bees is my top choice, but I also love just the plain old Chapstick brand. This flavor is to die for, but seasonal and apparently can only be found on Amazon these days. 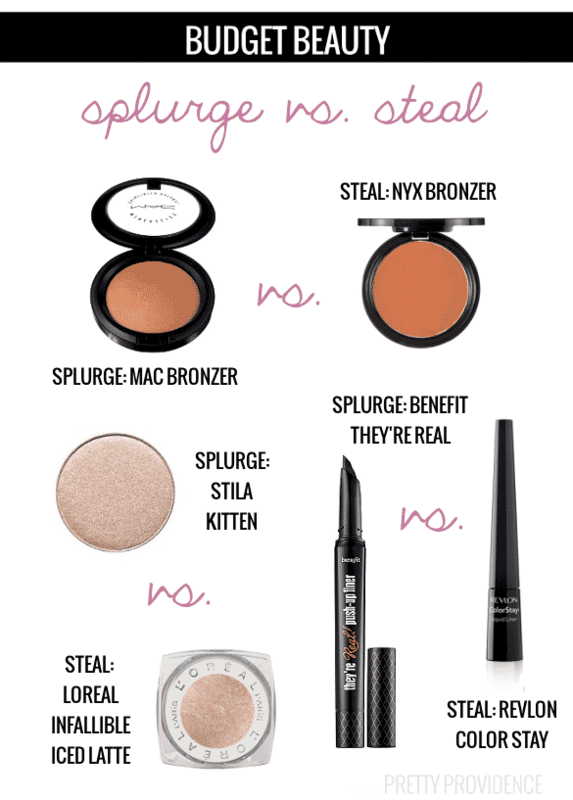 So those are my three “dupes” and I like both the splurge and the steal versions. 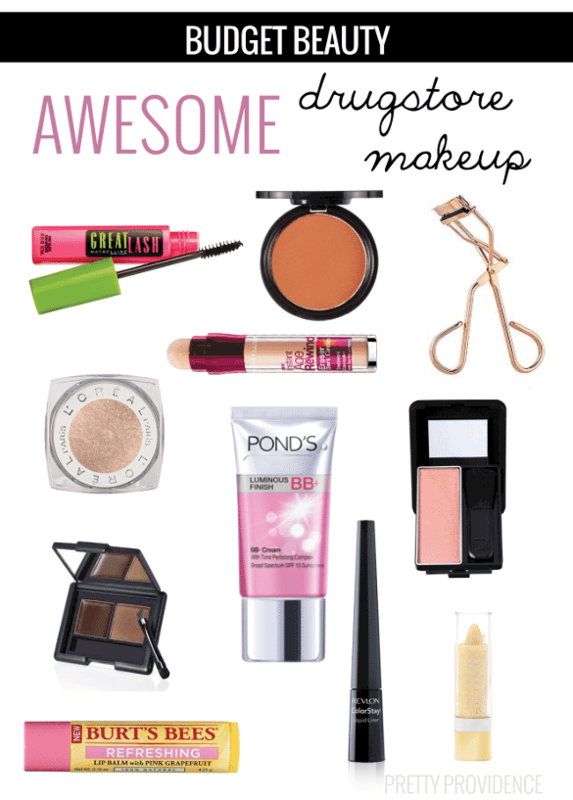 With these it just depends on what you’re looking for as far as lasting coverage! Do you use any of the same things? Or do you know of a better budget-friendly product that I should be using instead of one of these?! Spill! I use mostly elf. Love the stuff. Cheap, but it sticks with you. I have had their bronzer, and for $1, it lasts forever. I also love their eye primer. It makes my eye makeup stay all day, even thru crying. Which is awesome. I would not recommend their mascaras, I don’t love them. But the rest is completely affordable, and totally works! Thanks for the recommendation on the bb cream. I am looking for a very light weight moisturizer, and wanted to try a tinted one, but was unsure. Of course! I hope you like it – it’s been a dream for me!